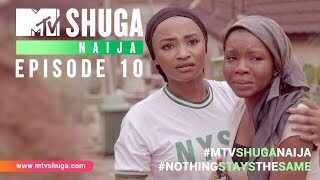 MTV Shuga, series six, is set against the backdrop of a bustling Lagos metropolis, where we see the northern and southern communities blended together. In this explosive new season we meet a host of new characters dealing with coming of age drama. Friendships are tested, relationships reach risky heights, and secrets threaten to break family ties. Starring: Timini Egubson, Sharon Ezeamaka, Jemima Osunde, Rahama Sadau, Adebukola Oladipupo, Abayomi Alvin, and many new faces. With cameo performances from YCee.